This is a simple "plain pine box" developed for Orthodox Jewish burials. * Ships knocked-down-flat and even stores under a bed! 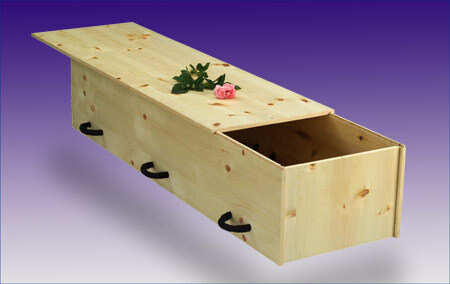 Suitable for natural burial or cremation.